demonstrated Collé techniques using Japanese and Chinese paper and rice paste. 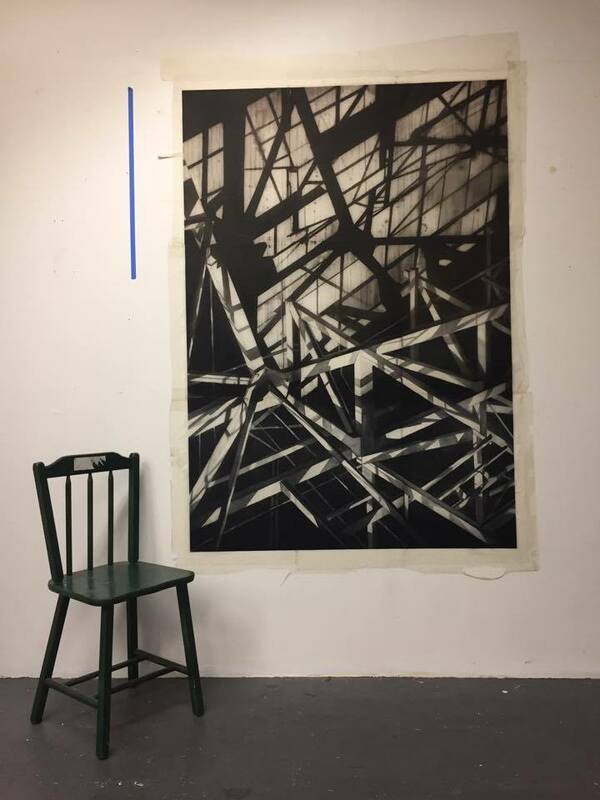 The final print of nine parts is assembled in Jenny's studio in San Francisco. Note: The prints is upside down drying, the chair is a good reference for scale.